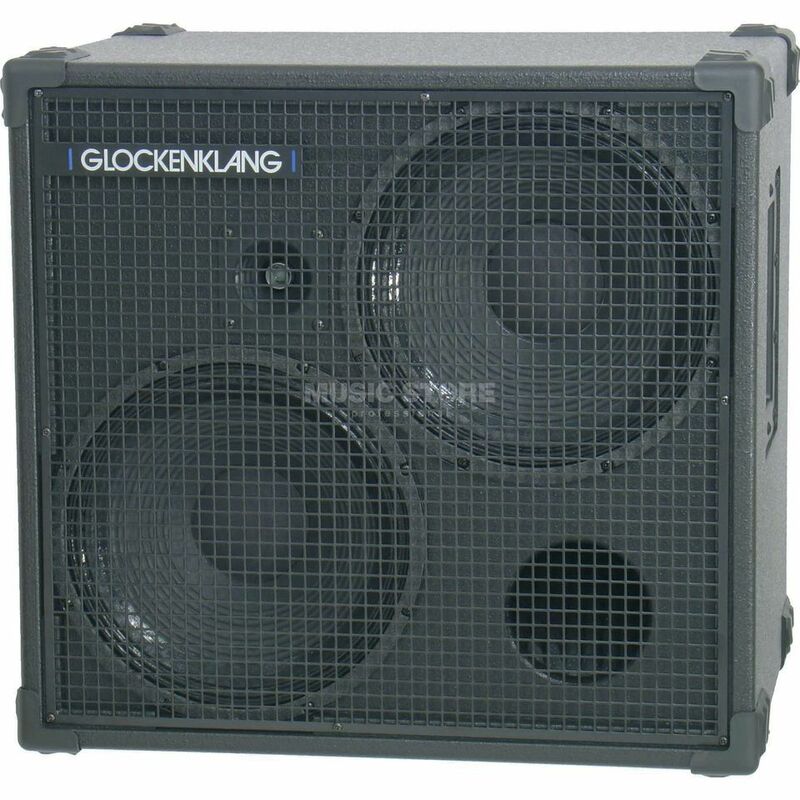 The Glockenklang Double Cab Bass Guitar Amplifier Speaker Cabinet 4 Ohm is ideal for use with both upright and standard basses either on its own or as part of a larger rig. The Glockenklang Double Cab is equipped with a pair of custom designed 12” Volt speakers that are joined by a single high-frequency horn, a setup that is rated to handle 500 watts at four Ohms . They are all housed in a ported heavy-duty Birch cabinet that helps to provide an incredibly even frequency response across its entire 36Hz to 18KHz range. The back of the Glockenklang Double Cab features a single control plate with dual Speakon connectors and a tweeter volume control. The tweeter volume control allows for the perfect amount of high frequencies to be quickly dialled in, while the Speakon connecters provide a professional and reliable connection to any amp head.